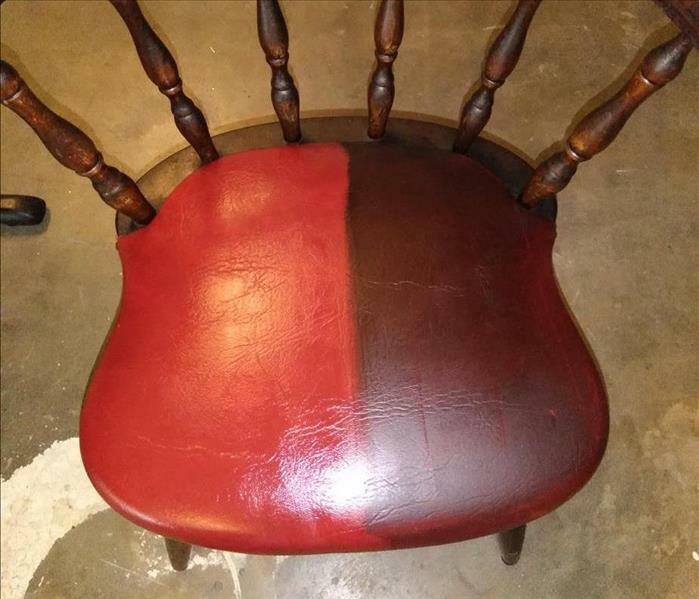 SERVPRO of East Brownsville & South Padre Island has the training and expertise to restore anything from contents, upholstery, and textiles. These are our results after a business was affected by a fire loss and all of the contents were affected by soot. 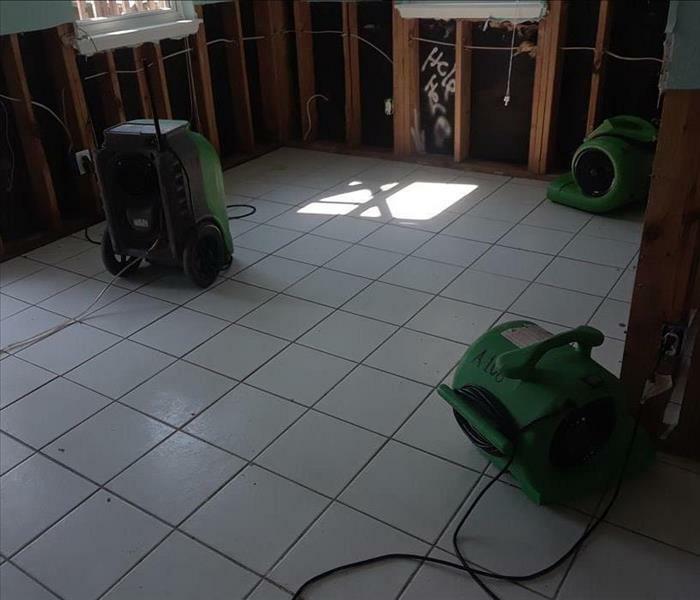 If your home was affected by water loss whether big or small, SERVPRO of East Brownsville & South Padre Island can quickly make it "Like it never even happened." 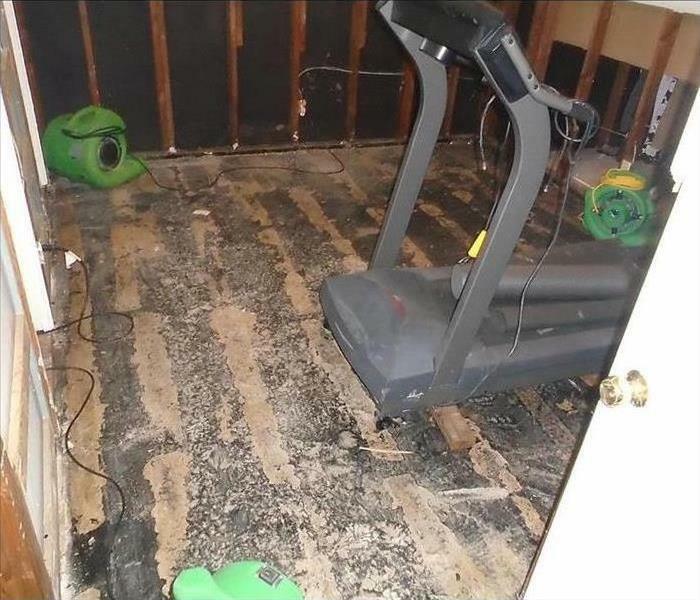 Our equipment can handle any water loss! 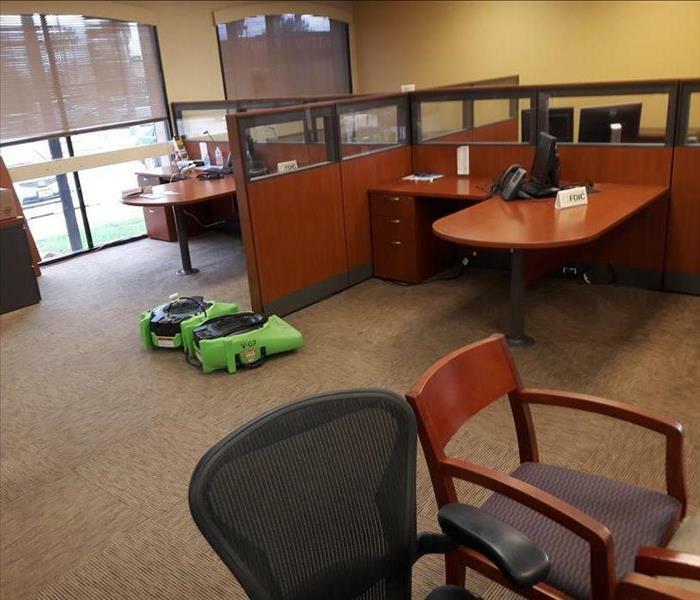 If you think the carpet in your home or office needs a deep cleaning, We can handle it. We have special cleaning techniques that can make your carpet look like new again. This was the after math of a commercial fire in Brownsville, TX when we arrived to the scene. 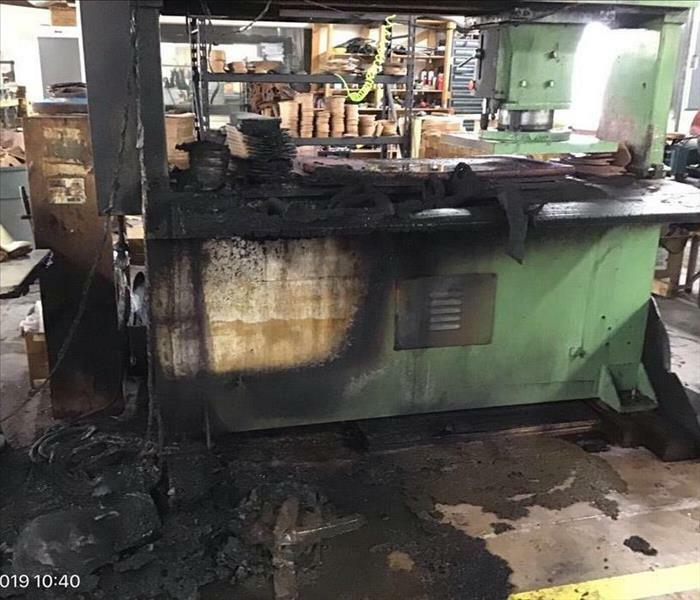 Everything from the business was entirely affected by soot, but our team was able to restore every item from the store "Like it never even happened." 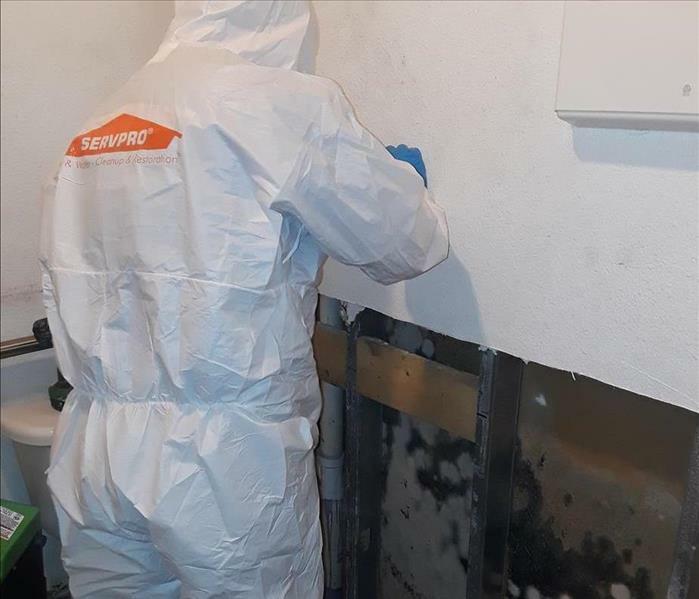 Last week, Our SERVPRO Of East Brownsville & South Padre Island responded to a call for mold remediation in our clients bathroom. 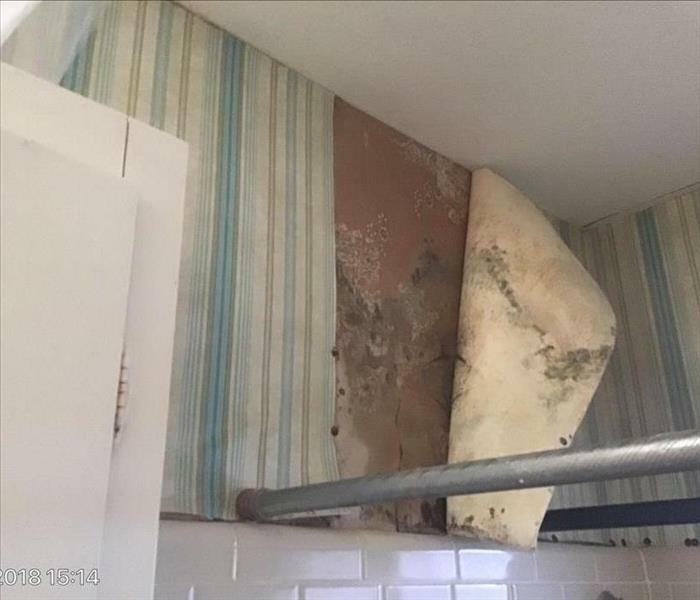 The mold started to grow due to a pipe line leak in their bathroom. 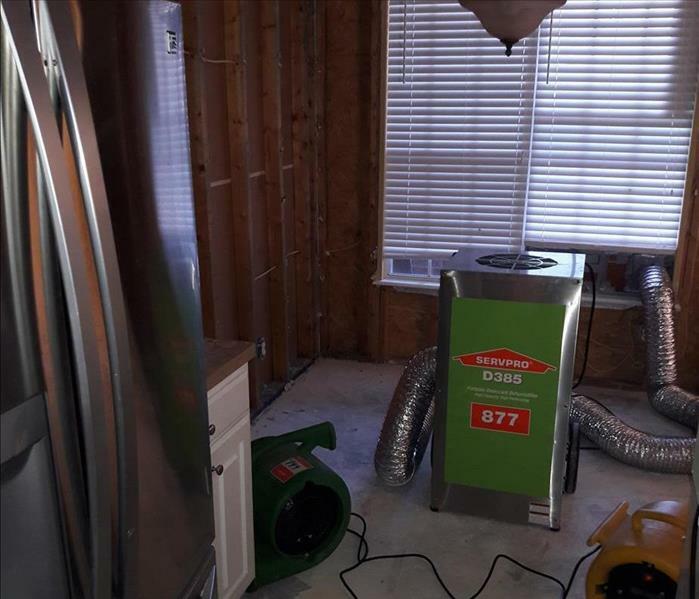 Our team dehumidified the area and removed the mold quickly "Like it never even happened." . Our office had received a call in regards to mold spreading throughout our clients commercial business. 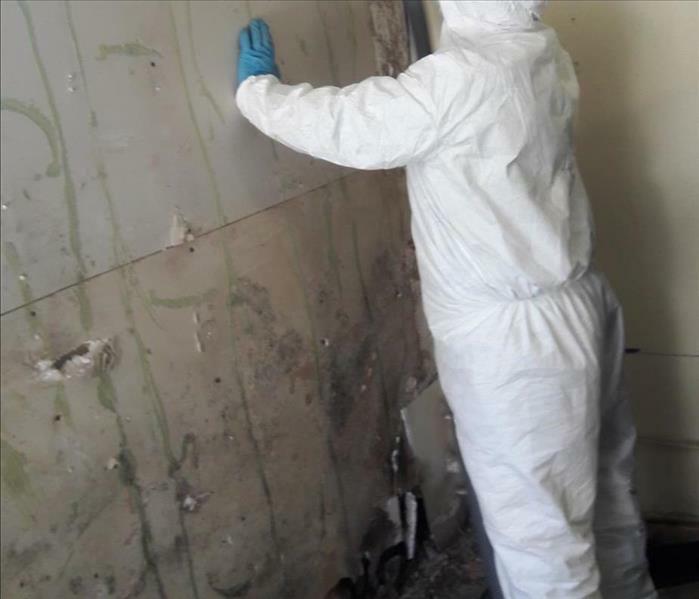 When our team arrived at the building the mold had already spread throughout the wall very badly As you can see, our technician removed the wall and replaced and cleaned the area properly. Now our client wont have another mold problem again in a long time! SERVPRO Of East Brownsville & South Padre Island responded to a fire which engulfed the adjacent establishment to this restaurant in Brownsville Tx. The smoke and soot completely affected the neighboring businesses. 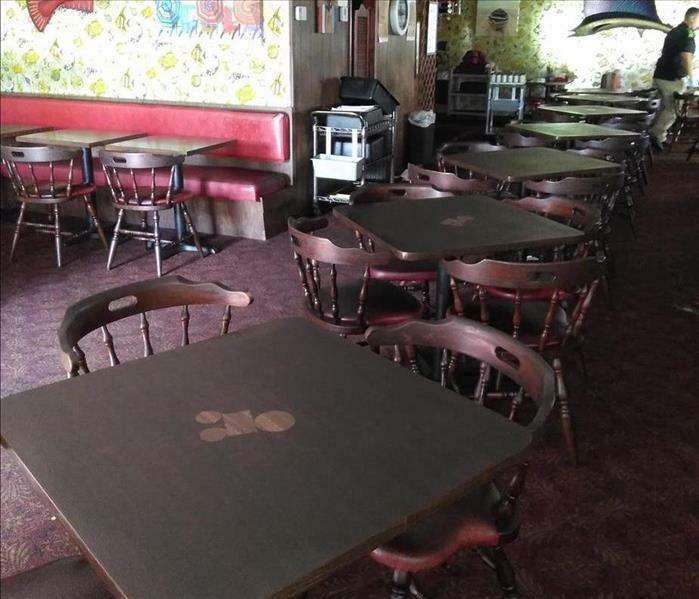 Here we see how the soot settled on the Restaurant Tables once the salt, pepper and sugars were removed. Our office received a call from one of our customers due to damage caused by a storm in there dinning room. 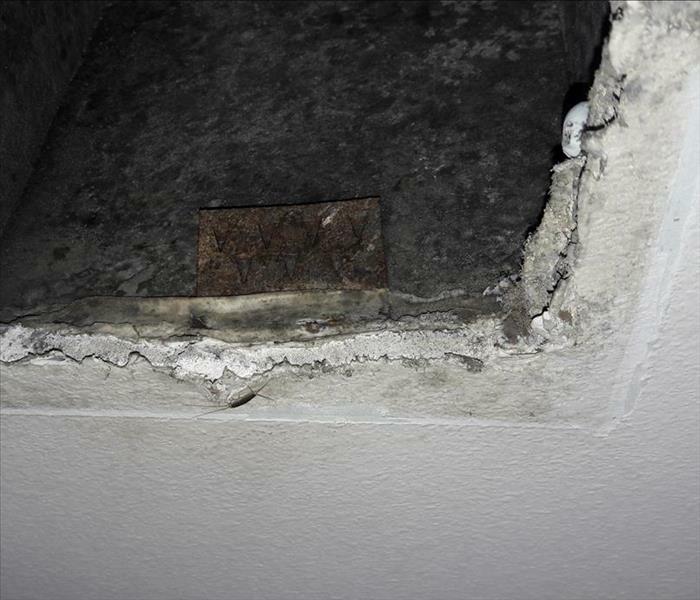 Wind from the storm had driven rain into their home in the top level of the condominium which resulted to affecting the ceiling, walls, and floors. Our team responded right away and finished the job with another happy customer! 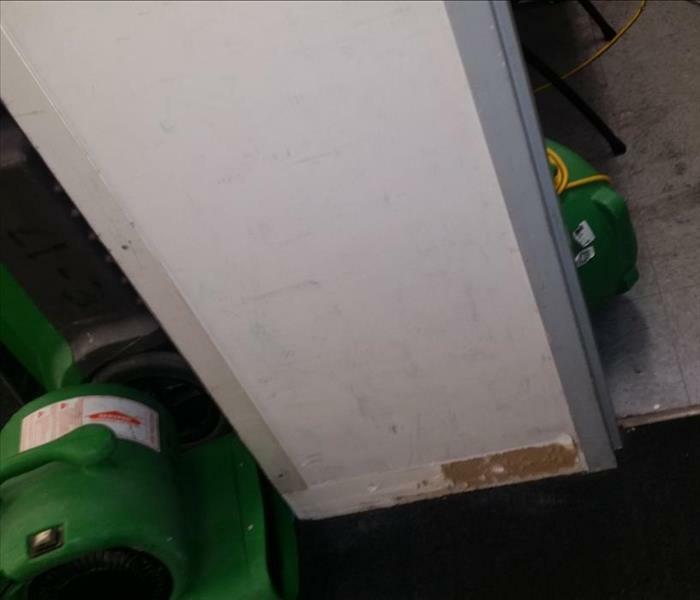 SERVPRO Of East Brownsville & South Padre Island received over a call over the weekend to attend a water loss in the basement of the Bridge administration offices, Our technicians quickly responded and found the basement full of water and mud, the source was a failure of the sump pump. 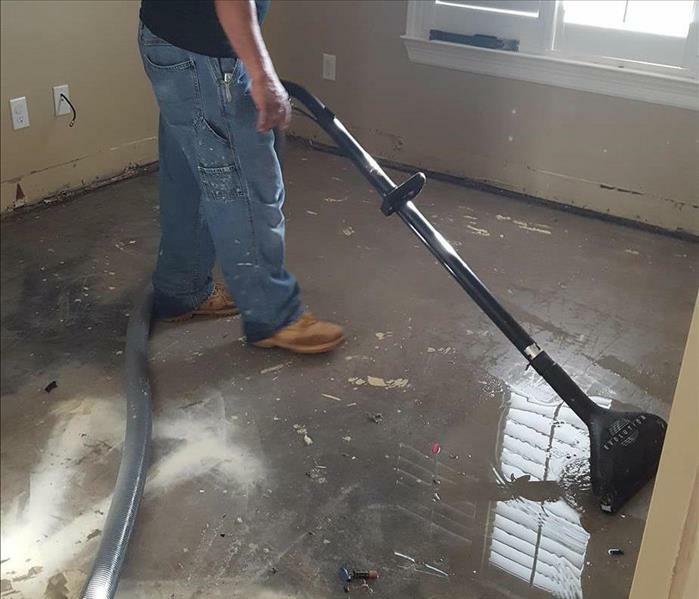 Water Damage in Rockport, TX. SERVPRO of Brownsville & South Padre Island responded to this event and attended a commercial building in the Rockport area. This site was affected with 12" of water inside the structure. 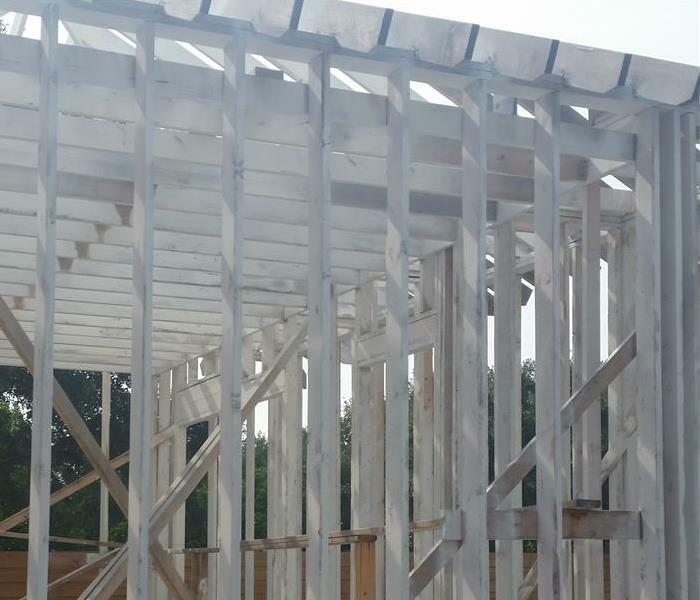 After consulting with the customer and adjusters, Our lead technician prepared the demolition and drying plan. 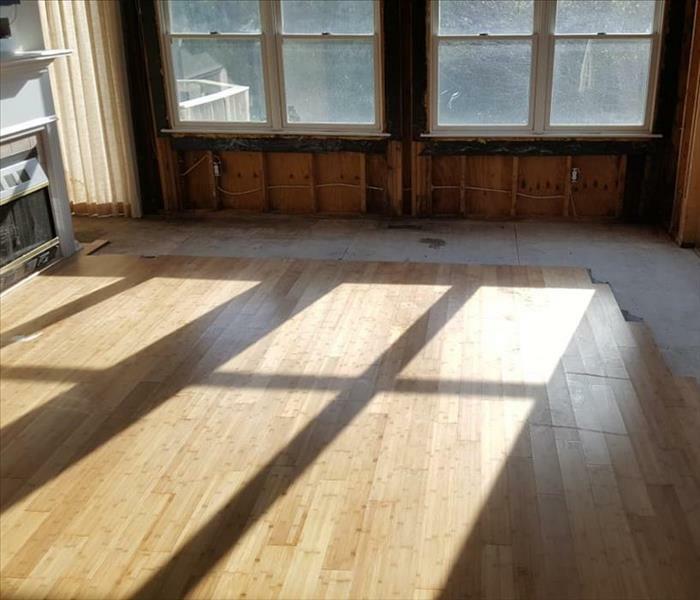 Our team of seven technicians began removing glued down wood floor in the entire store. Secondly, we began removing baseboards and wood panels installed over the walls. Lastly, we cut 4' high of drywall across the perimeter of the affected areas, which also included insulation removal. After several days of strong rains, a significantly large area of Houston was flooded. SERVPRO of East Brownsville & South Padre Island responded and managed to mitigate more than 20 homes. Our water mitigation specialists performed at the highest level, when facing a situation that called for it. 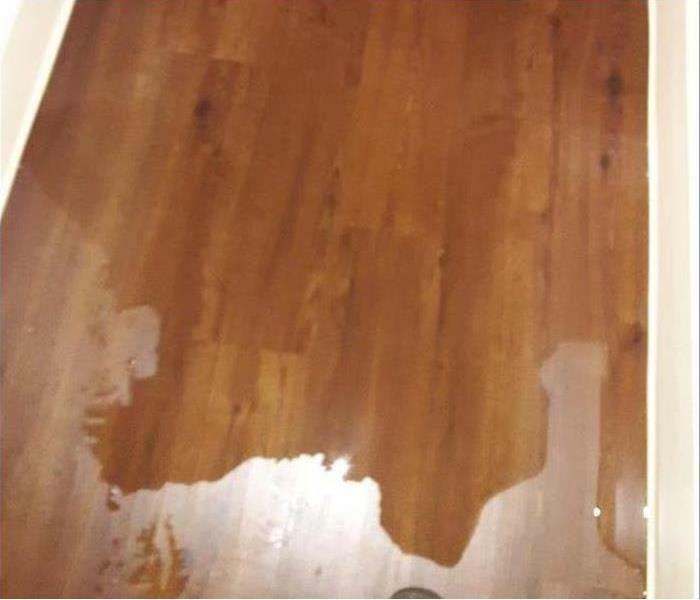 Our company assisted one of our customers who was affected by a flood in their first floor due to heavy rain. 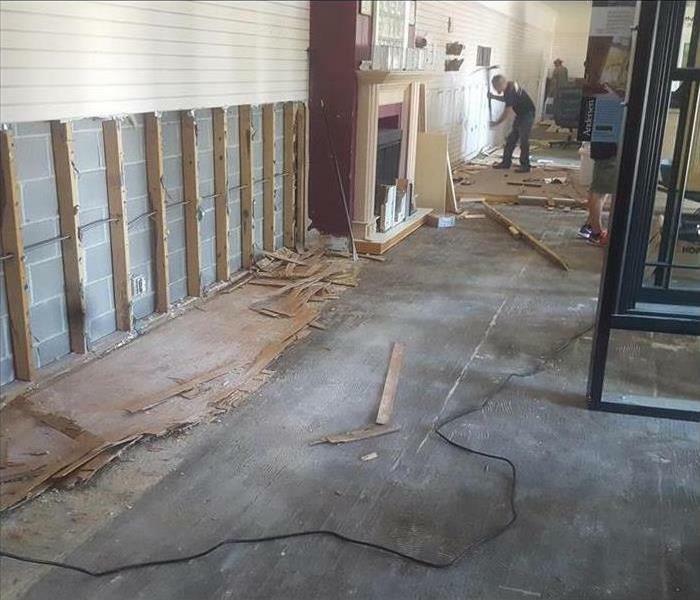 Our team did a flood cut 4' high, demolition of wood floors, carpet, insulation and cabinets. After the demolition, antimicrobial was applied and drying equipment was installed. Due to the water infiltration from roof, our team as well removed all the blown-in insulation in attic space. After 4 days of drying, our Water restoration Teamverified that the structure has reached the material drying goal. 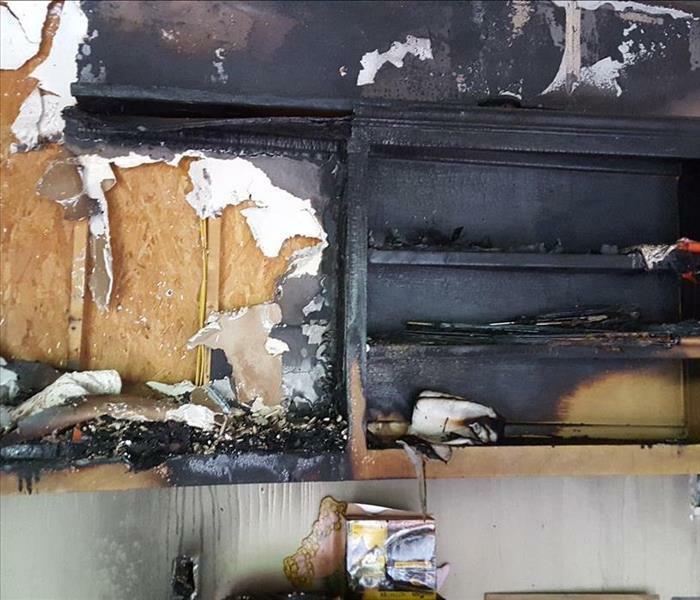 SERVPRO of East Brownsville & South Padre Island responded to an emergency call about fire damage. SERVPRO arrived and found the entire structure affected by soot. Our team started the services with the pack out of the contents and moved them to our storage facility. Afterwards, under the instructions of the adjuster we proceeded to demolish the drywall, cabinets, insulation and ceramic tile in the entire home. The demolition took us approximately three weeks to finish, the next step was deodorization and seal the stud work with 2 coats of shellac. Immediately after this, we start the re-construction. 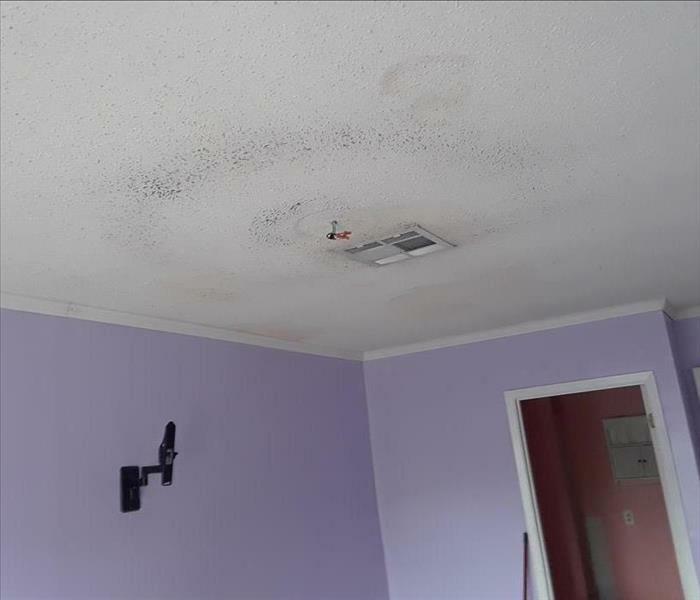 Our office received a call for one of our costumers regarding a water damage situation in their living space.After the first inspection,Our technicians found the source in the attic space, and got right to it! Another satisfied SERVPRO customer. Due to the number of residents forced to evacuate certain areas impacted by Harvey, mold growth was common once they returned to assess the damages. Ceilings and walls remained wet for days with no power or access to them. This called for more aggressive measures once we took were called in. Still with extensive demolition in their homes they felt blessed that theirs were still standing. Storm Harvey took its toll on this Condo when its wind blew a portion of the roof off. 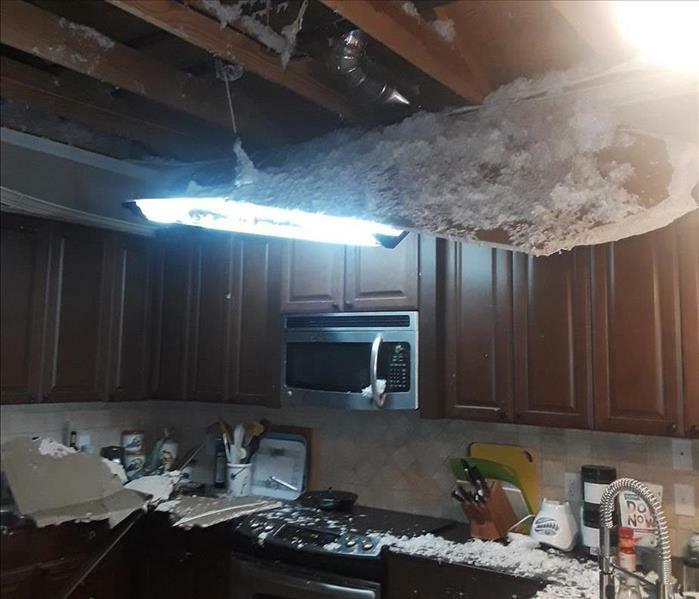 The kitchen ceiling collapsed and the water affected all the rooms in the structure. 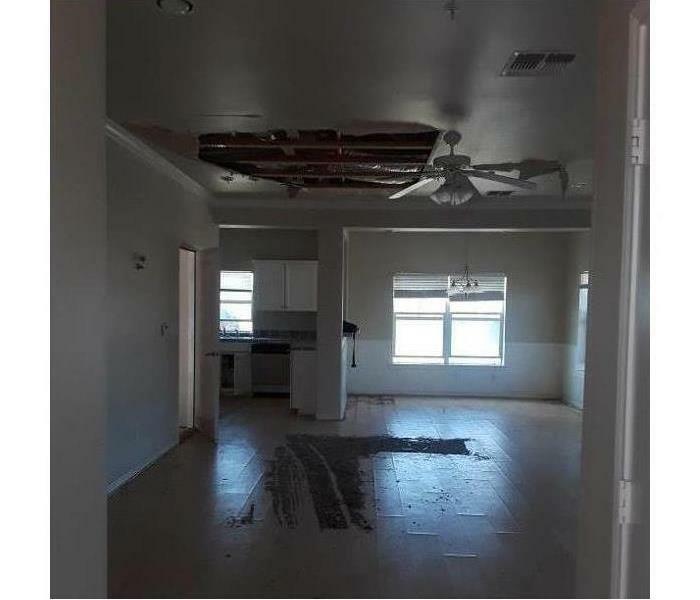 The tenant was on vacation and she had to cut it short and fly back to take care of this issue. Disaster happens at anytime but we were there to help her deal with the situation. Storms blew a portion of the roof off and allowed rainwater to intrude into the structure in Corpus Christi Texas. All the flooring was pulled and a portion of the kitchen was demoed. The damages were considerably light compared to the structures affected closer to the water. 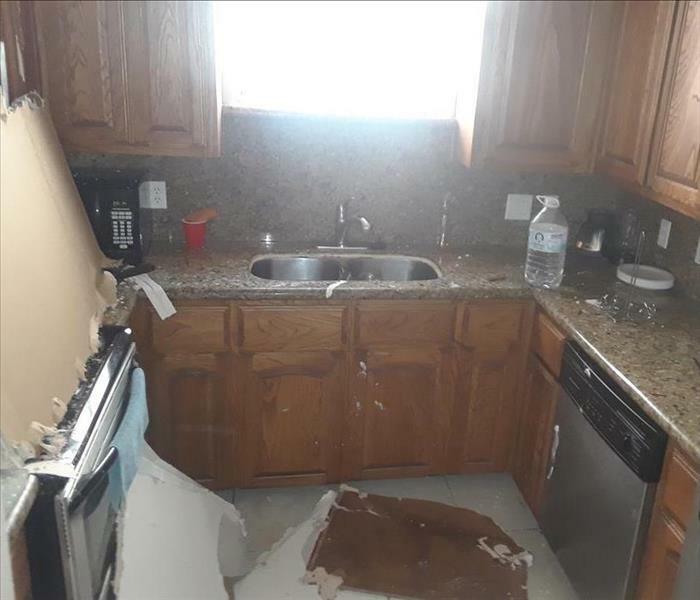 Storm Harvey produced devastating effects in most of the properties close to the water. This structure suffered 2 ft of standing water for 3 days. We removed the contents from the bottom floor and demolished 4 ft of drywall throughout. It took us 4 days to dry the stud work and complete disinfection. He felt lucky he still had a home that was dry-able and not blown away by storm. 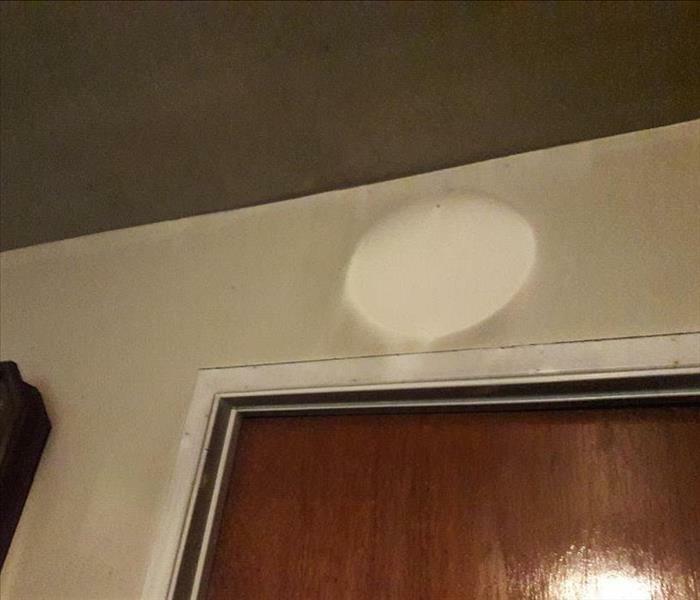 A Water Loss in the upper level condominium caused the ceiling to collapse in the bottom level unit (kitchen). The water loss ended up affecting the entire bottom unit. Both residents were on vacation at the time. We ended up mitigating both units and dried them down to goal within 3 days, after which we started repairs on both units simultaneously. SERVPRO of East Brownsville & South Padre Island is proud to have achieved TRIPLE MASTERS CERTIFICATIONS. We are always looking for to improve ourselves and one of those ways is through training and constant learning. 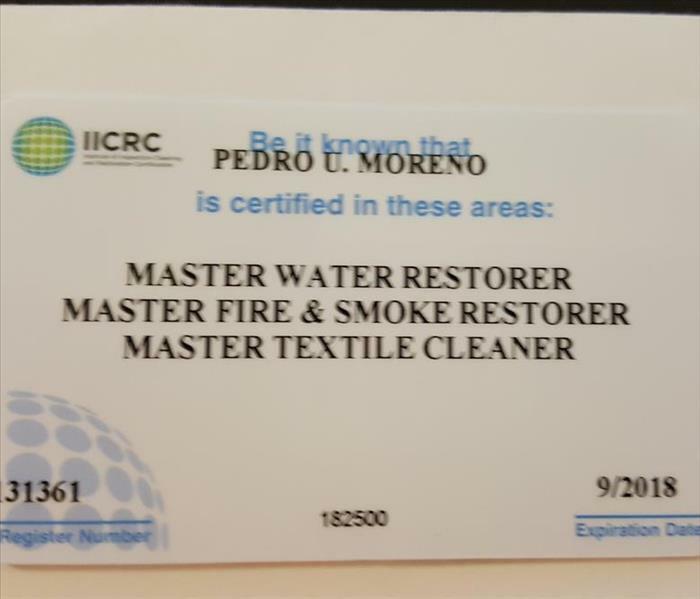 Commercial Drying Specialist, OSHA Certified, Licenced Mold Remediation Contractor...If its out there we have it.. Customer had concerns that he had microbial growth in his ducts. When we inspected we did find most of the ducting showed growth spotting. We provided a thorough cleaning and disinfecting of his ducts and coil. The home smelled fresher and the customer was impressed with the results. He requested an annual cleaning service. Another satisfied customer! 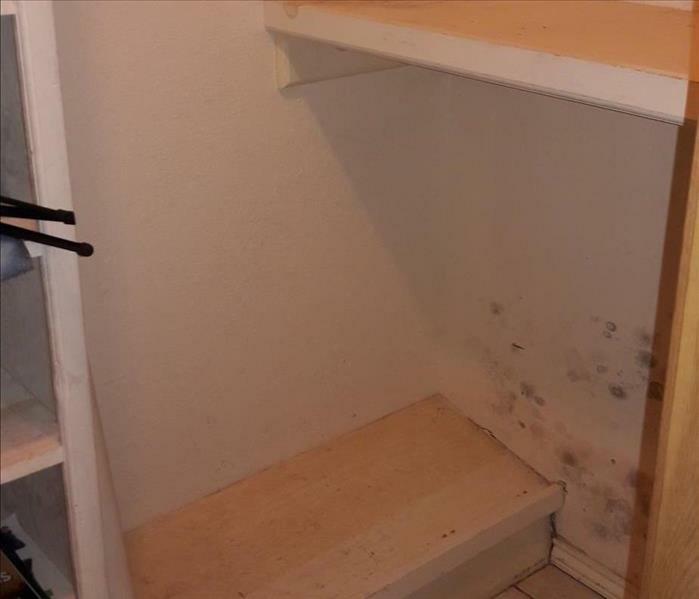 Customer was re-arranging his closet and discovered mold growth due to condensation by his HVAC system. He called us to provide service and ended up removing the affected materials, remediating and repairing his closet. His HVAC contractor removed the vent from his closet and added it to his master bedroom. At the end it solved his issue and he was happy it was confined to that small section of his home and that it did not spread throughout. The condition of the building and continuous water infiltration caused mold to form behind the wood paneling through most of the building. The issues were corrected and we were called in to perform the Mold Remediation Services for this building. It caused for major demolition, hepa vacuuming and treatment of the remaining stud work. We encapsulated the open cavities before the repairs started. The IH cleared the structure and the customer was very pleased. 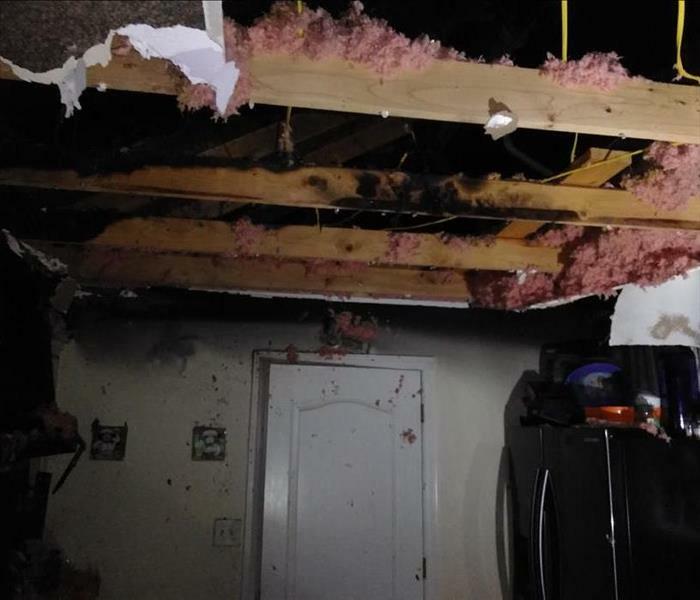 An Electrical Outlet in the garage had a short circuit and caused a fire that ignited a section of the garage wall and ceiling. Intense smoke filled the home from some plastic contents that were burning. We ended up gutting the garage and removing the homes insulation. The interior of the structure had to be cleaned and deodorized along with the contents. The job process took 10 days and was ready for repairs. Customer was happy they could return back into their home while the garage repairs began. A candle managed to turn over and ignite a wood table where it sat. The fire was contained to just that piece of furniture and was caught before it could spread. 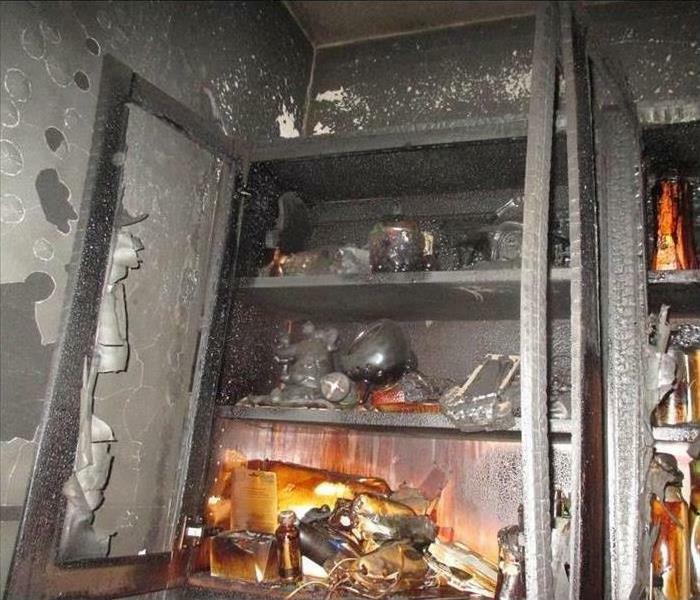 The finishes on the table and materials produced heavy smoke that affected the entire home. The customer could not believe the extent of the soot damage in their home. We cleaned and deodorized the home in 7 days and the customer very pleased it was so fast. The microwave short circuit ignited the kitchen cabinets and melted onto the range. Smoke filled the home and penetrated all textiles and contents. The entire Fire Clean Up including contents and textiles took 14 days. Customer was extremely pleased. 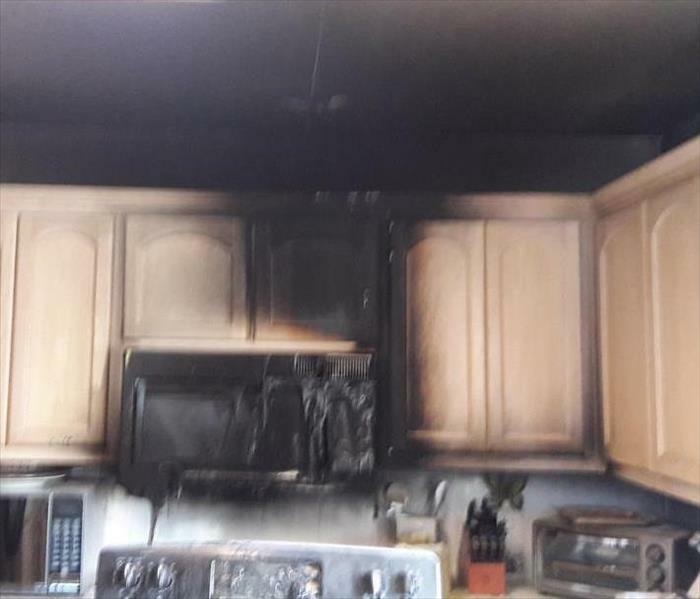 A kitchen grease fire ignited the upper cabinets, ceiling and insulation. Fire department extinguished the fire causing ceiling collapse and water damage in 40 percent of the structure. Demolition and dryout was completed in 3 days and the structure and contents cleaning took 10 days. Repairs followed and in a total of 27 days the customer was back in their home. SERVPRO of East Brownsville & South Padre Island was called in to provide Duct Cleaning Services to a Pharmacy Chain Store in Brownsville Texas. 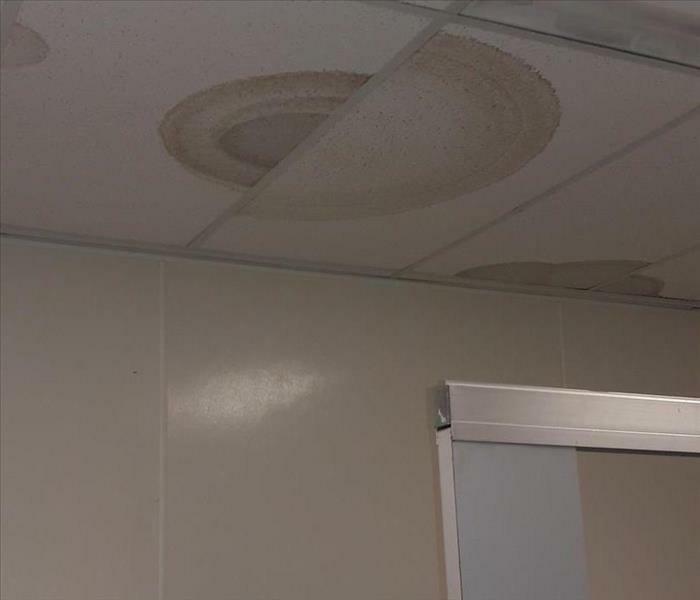 The Manager and Staff were happy the soiled vents and ductwork were cleaned and disinfected. 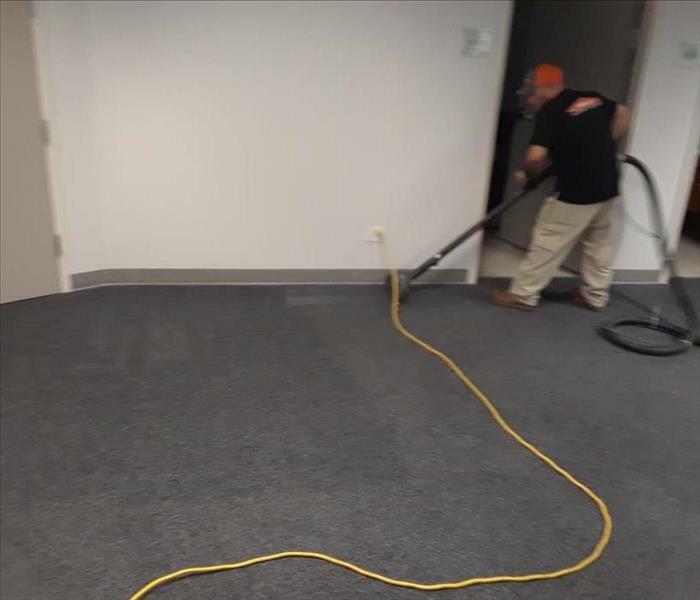 We were called in to service their carpeted areas the following week. A happy repeat customer! We were called in to replace over 100 ceiling tiles in a Commercial Furniture Store as well as cleaning the grids. Our crew worked after hours and had the store maintain their regular work schedule with a new cleaner appearance to their customers. Commercial Waterloss at Wells Fargo. Pipe in Restroom affected 60% of the building. 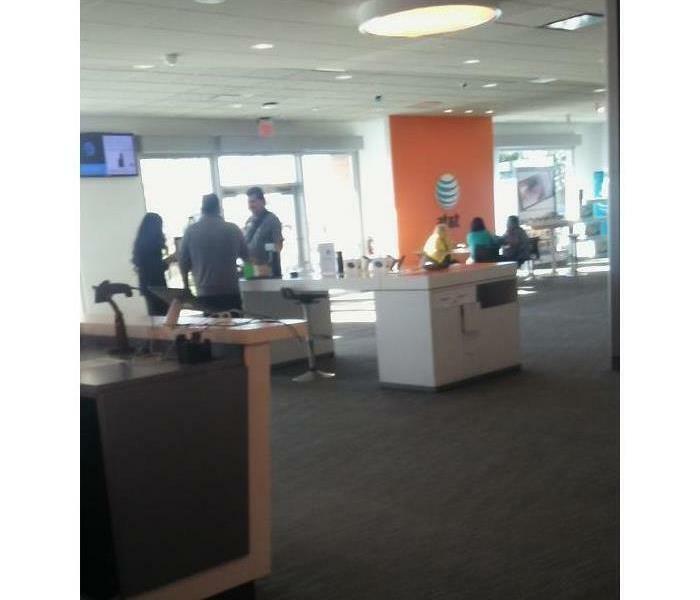 Management could not close that day so we accommodated to work around their employees and customers. Extraction and drying done. 2.5 days and they were back to preloss condition. Our New Van is ready to tackle any size job. Anywhere in the U.S. Please wave if you see us drive down the highway. Our Certified Technicians will be happy to service anyone affected by any time of peril. 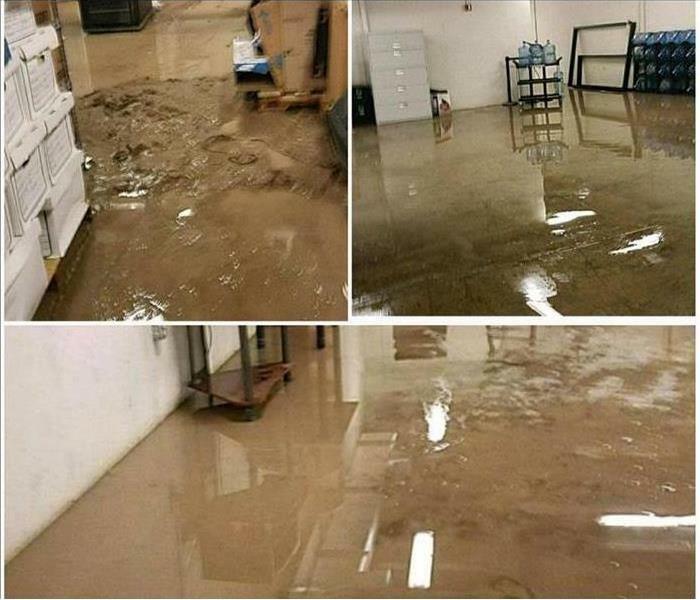 Commercial Water Damage in Brownsville,TX. Our Techs attended an emergency water loss, after the first inspection our team find the source was a water supply of the toilet. The mitigation specialist started with extraction, removing some baseboards and drilling holes for drying the walls, The last step was setup the drying equipment, after 3 days, Our team was capable to dry the structure. Our team performed an inspection for this home, and found suspicious stains all over of the structure. At the time of inspection, the home was under construction. Our Client requested immediate service, which consisted of, the application of antimicrobial and applying a encapsulator to all stud work. With the team of 4 technicians we finished in about 7 days with complete satisfaction of the client. 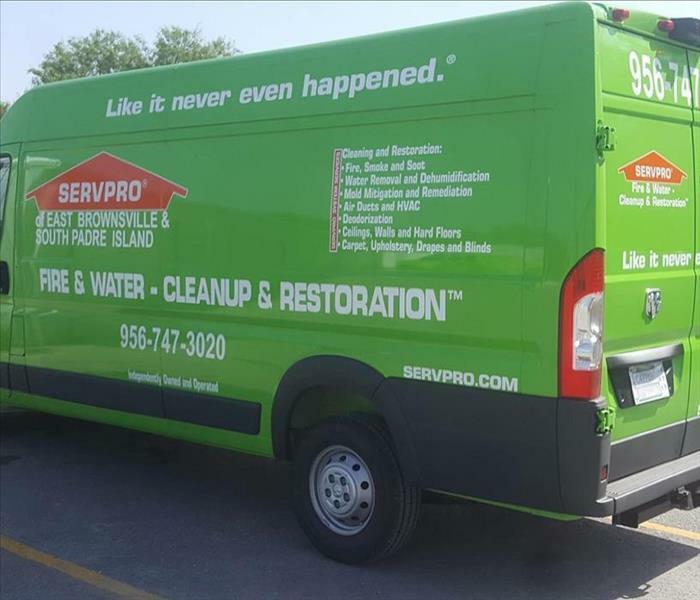 SERVPRO of Brownsville & SPI respond to emergency with one of the our Commercial clients, Our team find an strong sewer odor coming of one of the bathrooms. Our Production tech decided to install 3 negative air machines with charcoal filter and proceeded to send a plumber to check a drain issues. After five days with equipment running we available to mitigate the loss and leave the store with a more pleasant odor. Our Techs attended an emergency water loss on the area of Ports Mansfiled, after the inspection our techs localize the source on the second floor of the residence, Being this the toilet water supply line, affecting both levels. 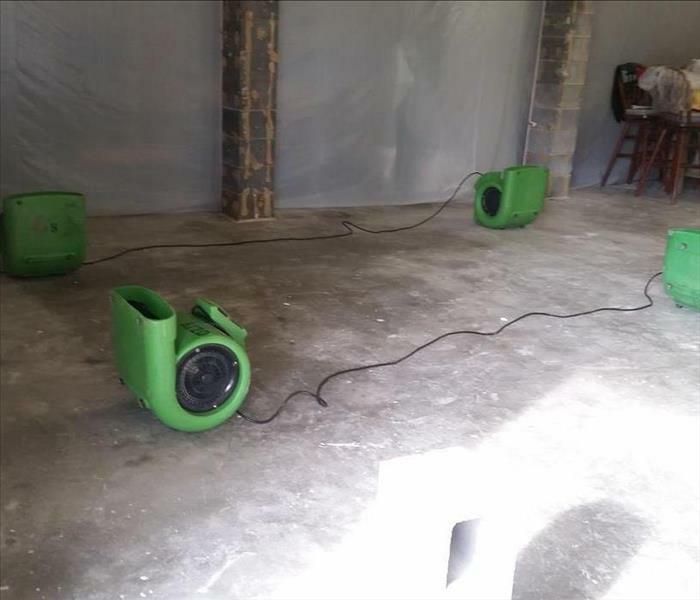 SERVPRO of East Brownsville started the mitigation process, The techs removed baseboards, carpet, carpet pad and install drying equipment. After 2 days of drying the Project Manager decided to removed drywall on first floor due to lack of result on the drying process. Right now We are in the process of re-construction and leave ready the structure for our client.